What are fillers and BOTOX injections? Fillers can be used on the cheeks, temporal area, tear troughs, or the forehead. They also offer an immediate effect. On the other hand, BOTOX injections are popularly known for their effect in anti-aging, and has been around for quite some time. BOTOX can relax the muscles of our skin, helping to reduce expression wrinkles. This produces a tighter skin appearance and a more youthful appearance for the face. 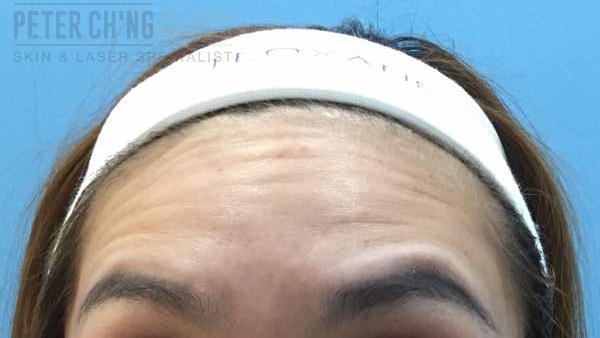 Results from BOTOX can be seen from day 3 - 10 after the treatment. Before any treatment, the most important step is for our specialist doctors, Dr Peter or Dr Loo, to analyze and understand your skin condition to be able to determine what type of treatment is the most suitable. Depending on your skin condition and your expected results, the doctor will inject a specific volume or filler or BOTOX into the inner layer of your skin, giving you a tighter, fuller appearance on your face. It is a quick procedure, and the pain is minimal if done by trained hands in a professional manner. Although injecting fillers and BOTOX may sound simple, it is extremely risky to have it done by untrained hands at unverified clinics or a non-specialist. Any miscalculation or misconduct in the handling of the filler volume or injection process can not only lead to unwanted results, but also cause side effects to our skin. To enquire more about Filler / BOTOX Injection, contact us or book an appointment here!